President Donald Trump handled Senator John McCain’s death in a “disturbing” way according to Senator Lindsey Graham. 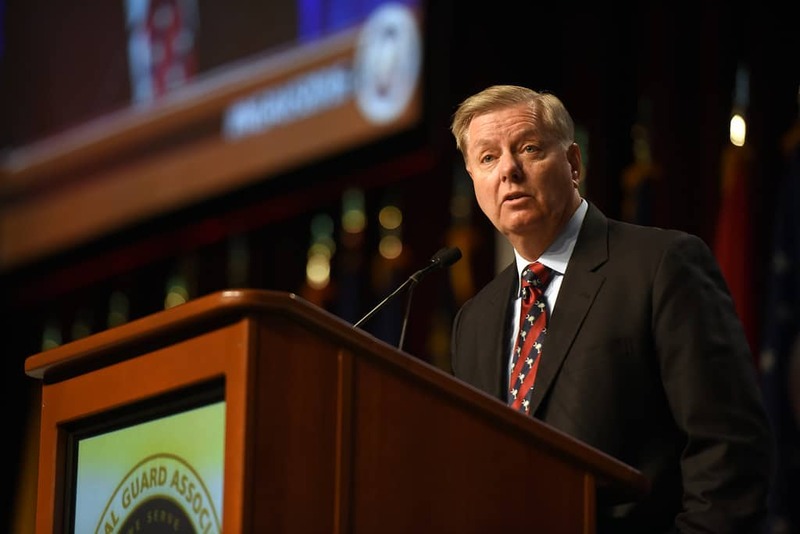 Appearing on CBS News on Thursday morning, Graham explained his frustration over Trump. McCain died on Saturday at the age of 81 and Donald Trump offered no sincere condolences on the day of McCain’s death. The President then allowed the White House’s American Flag to fly at half-staff for less than a full day. Traditionally, the flag remains at half-staff until a government official is buried. Reports have suggested that Trump thought McCain was taking the spotlight off the President because of widespread coverage fo the Senator’s death. Graham (R-S.C.) and McCain (R-Az) spent decades in Congress together and were very close friends. Trump and McCain, on the other hand, had been feuding since at least the 2016 presidential campaign. The Arizona Senator was a key vote in abolishing ObamaCare but instead decided to vote in favor of keeping the healthcare mandate.